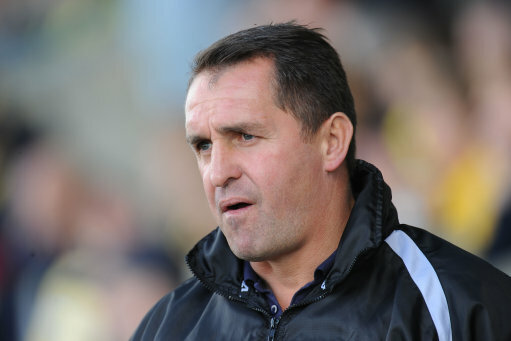 Writing in his programme notes for their game against Rochdale at the weekend, Gillingham manager Martin Allen – who, for the uninitiated, is as mad as a bucket of weasels – revealed the secret to his side’s table-topping form in League Two so far this season. Turns out that Allen has handed over his team-talk duties to a random woman he plucked off the street before the Gills’ 2-0 win over Port Vale the previous week – a post office worker by the name of Donna! “Last Saturday on the way into Port Vale, as we got off the bus, a lady in a Gillingham shirt asked me for my autograph. She told me that she travelled up from Gillingham on her own, on the train, and she never misses a game. “She told me her name was Donna and she worked for the post office, she was a season ticket holder and her dad was missing his first game for years. “She bubbled and oozed happiness and a positive attitude, so I took her into the dressing rooms, introduced her to all the players, had some photographs done with the lads and then she gave a speech, or team talk, to the players from a supporter’s perspective. Allen was apparently so impressed with Oozy Donna’s motivational powers that he invited her to join the squad on the team bus home. As we say, mad as a bucket of weasels. For the record, Gillingham lost 2-1 against Rochdale. Donna was obviously stuck in traffic.